Bought locally and in season, these delicate berries are so full of color and flavor that you may be tempted to eat them before you get home. 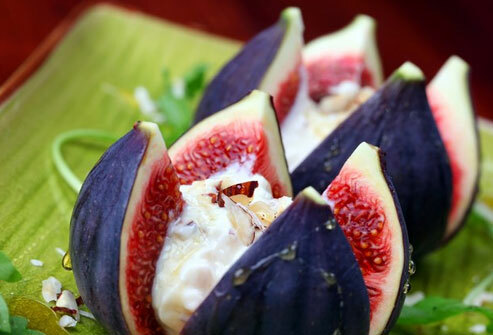 Even if they do make it to your fridge, plan to enjoy them soon, since they don't keep very long and can get moldy. Look for small- or medium-size fruits that are dry, with bright green caps still attached. Snip off the leaves and rinse these beauties right before you eat them. No, it won't give you biceps like Popeye's, but all that fiber, magnesium, and vitamin C are still great for you! 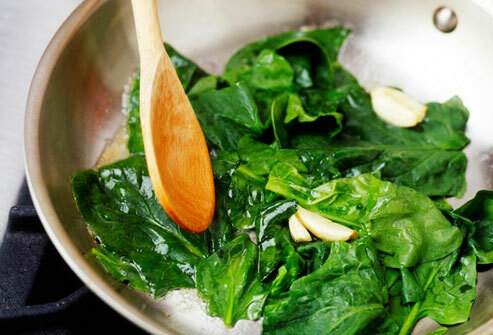 Add raw spinach to salads or cook it as a side dish. (Try it with a little olive oil and garlic.) Store it in in a damp paper towel, placed in a plastic bag in your fridge. It should last for a few days. It's a sign winter has ended and spring is here. Though it's technically a vegetable -- a very tart one -- some people (especially Southerners) like to bake it into a pie. You can also use it in salads, sauces, and other savory dishes. Look for a deep red color and firm stalk. It should last for a few days in a plastic bag in your refrigerator. But don't eat the leaves. They're poisonous. They aren't called "spring" onions for nothing! That's the season they start to bloom, and they continue into the summer. They're a fresh, light alternative to other types of onions for salads, garnishes, and toppings. 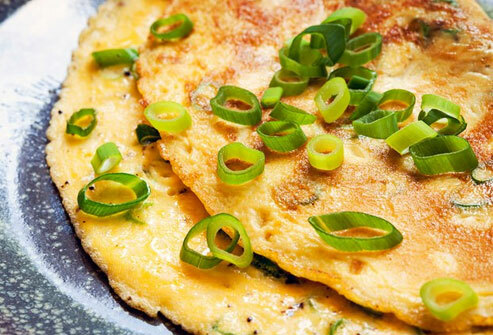 You can also mix them into cooked dishes like omelets. They're often a rich, cherry-red color, but they may also be golden or even white. You can eat both the roots and the leaves, either cooked (try roasting them) or raw. And you can store the roots in a sealed bag in the crisper drawer of your fridge. Be sure you wash them thoroughly before you cook them, as the roots grow deep in the dirt. And the color can leave a stain, so you might want to keep a cleanup towel handy. Ripe ones give a little when you touch them but shouldn't feel mushy. You can eat the skin as well as the flesh inside. 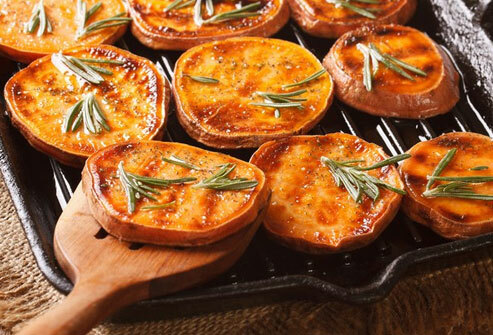 Try them with some cheese or plain yogurt. Store them in a bag in the coldest part of the fridge. They're a good source of fiber and potassium, and should keep for a couple of days. This green-skinned summer squash is super-versatile. You can stir-fry it, add it to stews, or even make zucchini "noodles" from it. The growing season stretches from late spring to early fall in some hotter southern states such as Georgia, but it may be shorter in northern states like Maine. 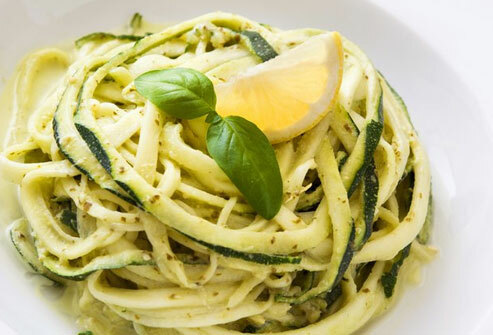 Zucchini is low in calories, fat-free, and rich in vitamin C.
You can get them all year round at most grocery store chains, but there's nothing like a crisp, locally grown apple, picked and sold in season. Ask your local market where theirs are from, or better yet, drive out to the country and buy directly from a farm. They're fat-free, cholesterol-free, and have plenty of fiber, too. Apple peels have a lot of the nutrients, so eat the whole thing. You might have seen dark green ones, but they can be tan, orange, yellow, and other colors too. The skin should look dull, not shiny, and the squash should feel heavy for its size. Avoid any that are soft or cracked. Good ones keep really well: up to 3 months in a cool, dry place. They're a good source of carotenoids, which are related to vitamin A and are good for your eyes. 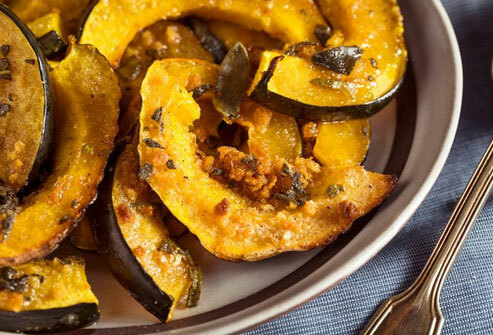 You'll also get vitamin C from this seasonal squash. 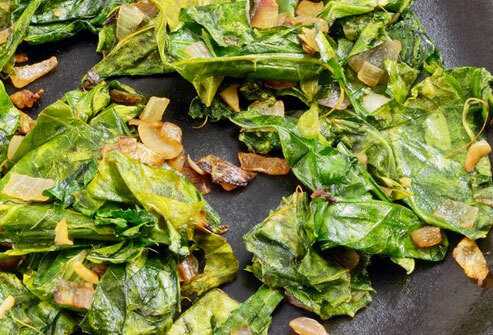 They look like baby cabbages, and despite what you may have heard, they can be delicious when you roast them in your oven or saute them with onions in a pan. They've also got loads of fiber, which is good for your digestion and blood sugar. Plus, Brussels sprouts are one of the "cruciferous" vegetables (like kale, broccoli, and cauliflower), which have antioxidants that may lower your odds of cancer, as part of a healthy lifestyle. It's usually white, but you might find yellow, green, and purple ones too. The different colors are signs of different antioxidants that help protect your cells from damage, or "oxidation." Farmers typically harvest it in the fall, though the growing season varies depending on the region. Some places, like Indiana and Kentucky, even have a second growing season in late spring and early summer. Farmers might start to pick them in the fall, but this continues into the winter in many areas. It's hard to imagine the Thanksgiving table without them. Look for small or medium sizes with smooth, unmarked skin. They should keep for 3 to 5 weeks in a cool, dark place. They're a good source of vitamins A and C, and potassium. Southerners like to cook these slowly in a pot with some kind of meat. You can use turkey instead of pork to cut down on calories and fat. 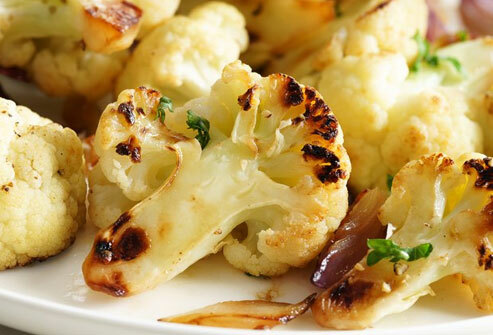 Or you can cook them with olive oil, onion, and garlic. Look for dark leaves with no yellow. They should keep in your refrigerator for about 5 days. 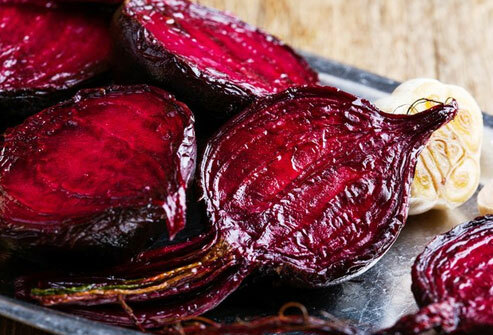 They're a good source of vitamins A and C, as well as folate, calcium, and fiber. 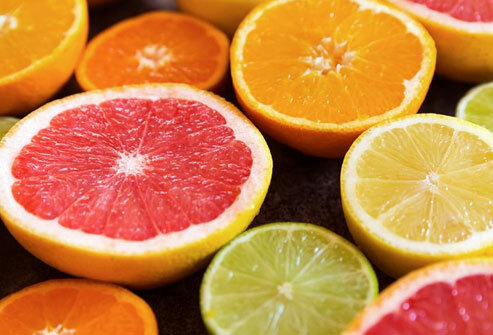 Oranges, grapefruits, and tangerines to name a few: They ripen to their best in most regions in the winter months. You can eat them whole, or use the juice in sauces, salsas, and marinades. Or just drink it. They have lots of vitamin C, and they're especially tasty when they're fresh and in season. 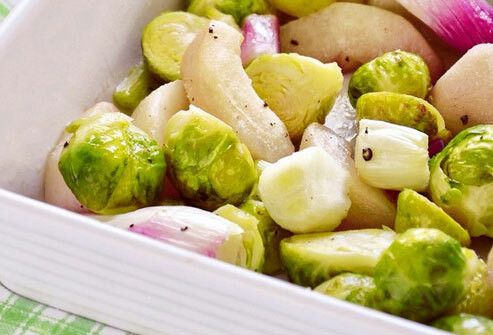 Academy of Nutrition and Dietetics: "Balsamic Roasted Brussels Sprouts Recipe," "Exploring Aromatics." Cleveland Clinic: "Kudos to Cauliflower (But Which Color Is Best?)." Grace Communications Foundation: "Seasonal Food Guide," "Real Food Right Now and How to Cook It: Zucchini." Mayo Clinic: "Dietary fiber: Essential for a healthy diet." National Gardening Association: "All About Scallions and Chives." 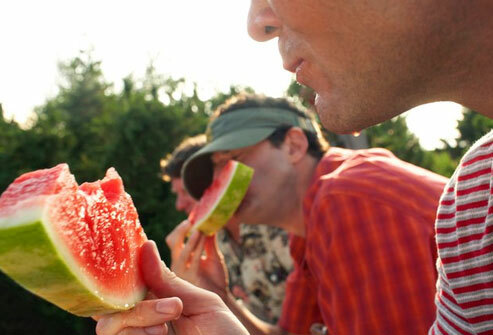 Nutrients: "Comparison of Watermelon and Carbohydrate Beverage on Exercise-Induced Alterations in Systemic Inflammation, Immune Dysfunction, and Plasma Antioxidant Capacity." 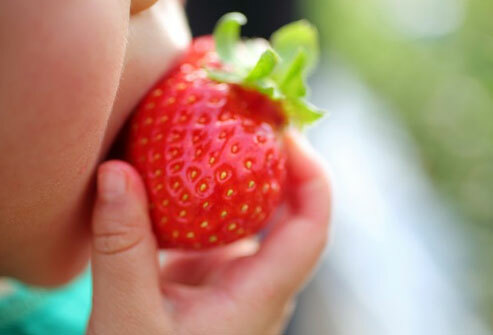 Ohio State University Extension: "Selecting, Storing, and Serving Ohio Strawberries." Produce for Better Health Foundation: What's In Season: Winter," "What's In Season: Spring," "What's In Season: Fall," "What's In Season: Summer," "Rhubarb: Nutrition, Selection, Storage," "Spinach: Nutrition, Selection, Storage," "Acorn Squash: Nutrition, Selection, Storage," "Figs: Nutrition, Selection, Storage," "Beets: Nutrition, Selection, Storage." Tufts University Friedman School of Nutrition: "Rhubarb." 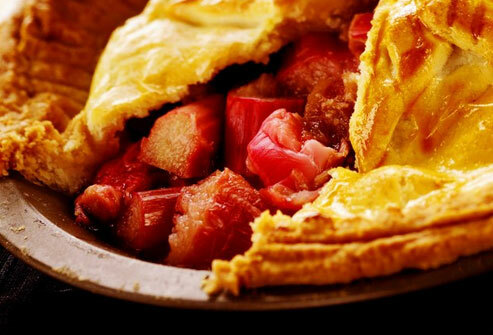 University of Alaska Fairbanks: "Rhubarb Recipes." 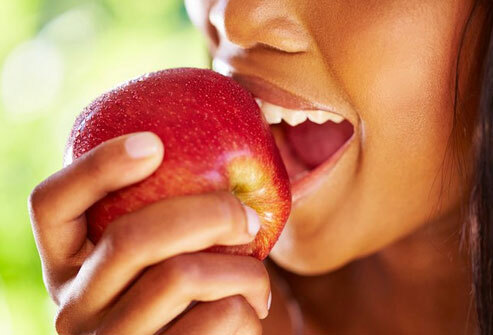 Nutrition Journal: "Apple phytochemicals and their health benefits."